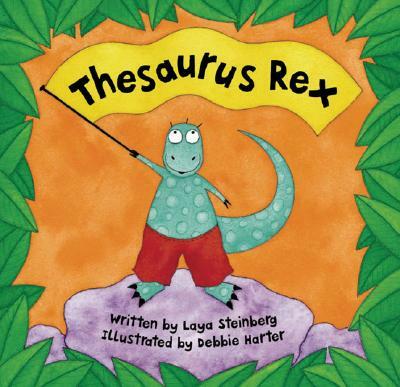 Encourage children to explore synonyms with the loveably cheeky Thesaurus Rex, who has an irresistible way with words. Action-verb and noun synonyms feature throughout Laya Steinberg's energetic text which, paired with award-winning Debbie Harter's vibrant watercolors, will engage boys and girls alike. The alliteration, repetition and rhyme featured in this delightful book will also help to foster speaking and listening skills.